The Ideal Bride Expo was on last weekend at the RNA Showgrounds in Brisbane. We were lucky enough to get the opportunity from Ideal Bride to style the stage for the fashion show. What a wonderful opportunity for our team. Putting up a massive 12m backdrop which has been our largest yet and the opportunity to put our brand new iron arches on display was fantastic. The runway showcased some beautiful dresses from many wedding boutiques across Brisbane. 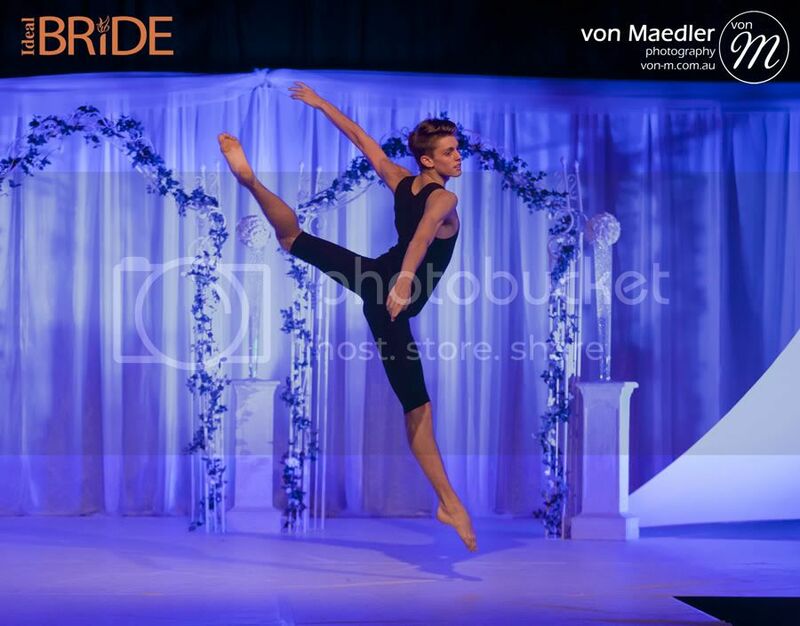 We would very much like to thank Michelle from Von Maedler Photography for providing us with some photos for our blog. The Ideal Bride Expo saw nearly 700 brides come in over the 2 days and I think we talked to nearly everyone of them. Our feet certainly told us we did. Our 6m display stand nestled between Evoke Studios and Royal On The Park allowed us to put some new centrepieces together and we were happy to get a lot of interest in every one of them. Last Sunday we also sent a team down to a local wedding expo at Cleveland. The team set up a full ceremony out the back of the Redlands Boat Club which created a lot of interest. It was nice for the team to see some of our upcoming brides and meet some new ones. 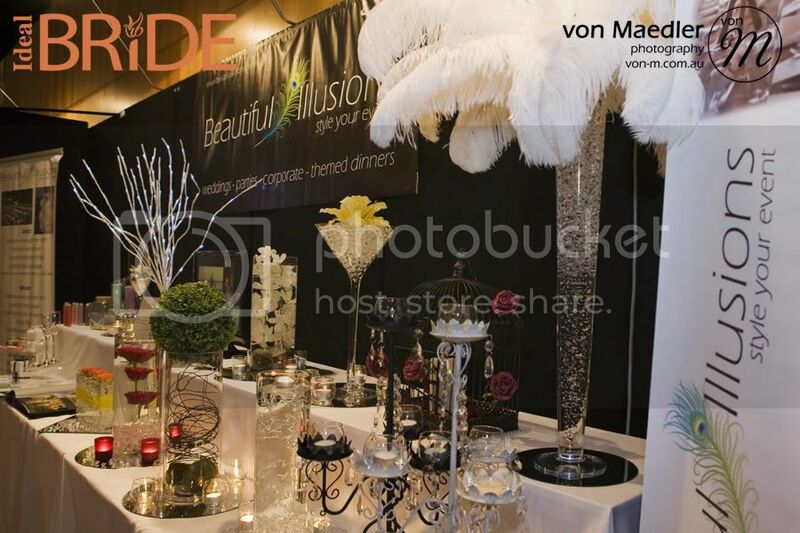 This entry was posted in Uncategorized and tagged evoke studios, Ideal Bride, ideal bride expo, Royal On The Park, von maedler, Von Maedler Photography. Bookmark the permalink. It was so perfect and it made our day magical!